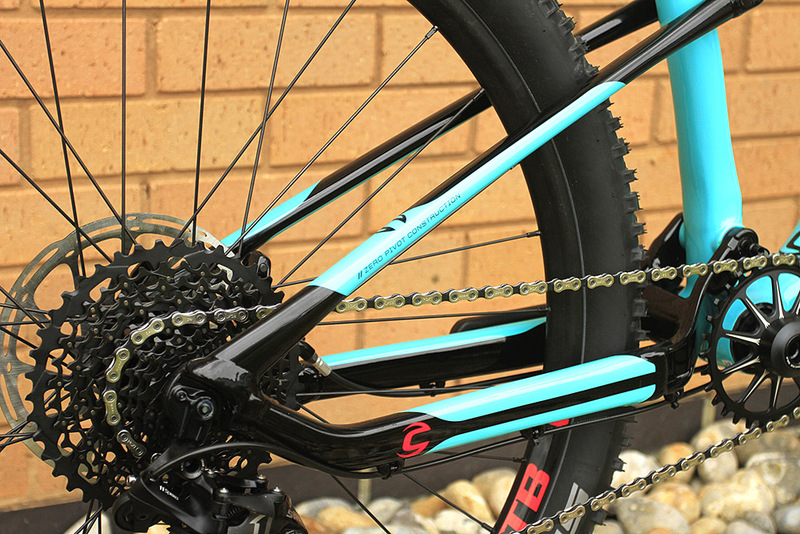 Cannonade aims for the trail sweet-spot with a 650b, 120mm full-suspension bike. This is the all new Cannondale Habit that is described as being for racers who just want to ride. 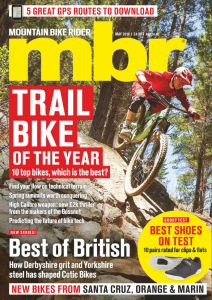 It is trying to find a happy compromise between an enduro bouncer and an XC whippet in the coveted trail category. All the big bike manufacturers are targeting this at the moment so it is up against some stiff competition. We had got our hands on one at the CSG show and this is how it stacks up. Is this a Cannondale without a pull shock? Last year, the only Cannondale full-suspension bike without a pull shock was the XC race bike, the Scalpel. 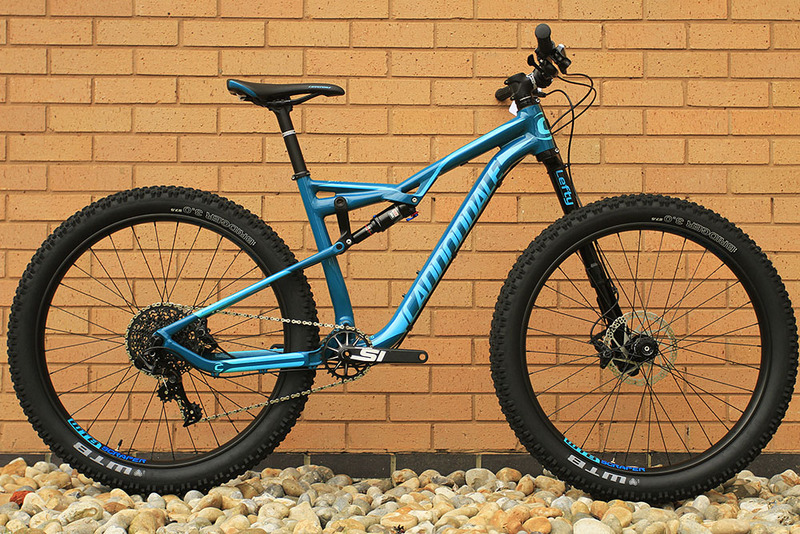 Now the Scalpel has been cut (albeit temporarily) and the all-new Cannondale Habit 650b trail bike released. So why no pull-shock? Well, reading between the lines would suggest that doing away with pull shock will save money in terms of royalies that have to be paid to Peter Denk, the pull-shock’s designer. He’s now moved on to Specialized, and Scott went through a similar cleansing of its pull shock products when Denk left to join Cannondale. Like other manufacturers, Cannondale has mounted its swing link (made from carbon on the top bikes) to the top tube and opted for pivotless stays. This seems to have become something of a trend recently, with Orbea and Kona joining Giant in releasing bikes with pivotless stays. And why not? If done right, it saves unsprung weight, increases stiffness and simplicity and can even reduce costs. This is featured on models with both carbon and alloy swingarms. All but the lowest specced models run with a RockShox Monarch that pumps out 120mm of travel. The bottom of the range Habit 6 utilises an X-Fusion 02 RL. So, what about up front? 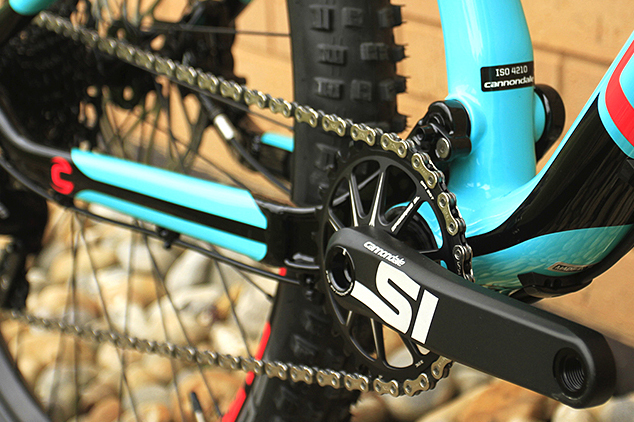 Most models run with a Lefty – Cannondale’s signature single-sided suspension fork. We recently tested the Lefty Supermax on a Cannondale Jekyll and although it was stiff enough for enduro riding, we though it was lacking in small bump sensitivity. Thankfully Cannondale has re-tuned the Lefty range for 2016 to provide more suppleness and a faster return. This should definitely suit the trail focussed nature of the Habit and allow you to zip over singletrack. Let’s hope that Cannondale has also kept the peg-legged stiffness we love so much. Also new on the Lefty for 2015 are bigger controls for rebound and compression. A large, green button should make it easier to simple the firm compression mode and a taller rebound knob will be easier to use with gloves. Most models are 120mm travel, but there is a Carbon SE model with 130mm for those that want a little bit more aggression. 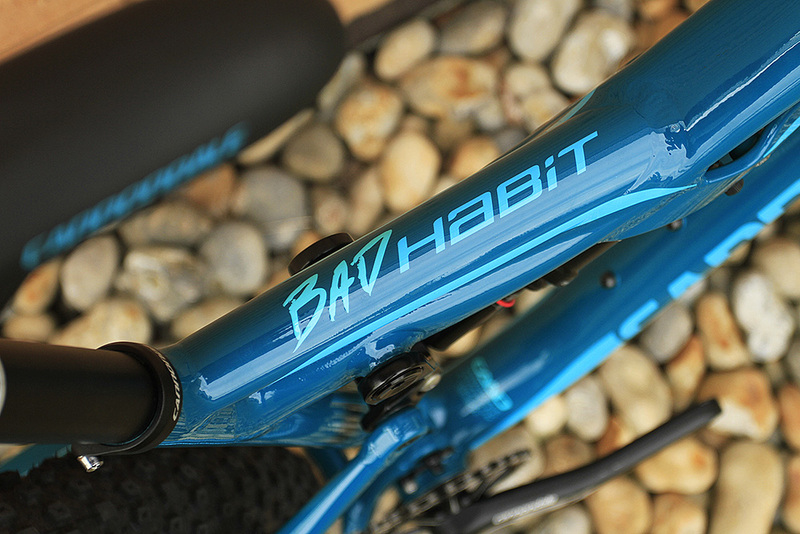 The cheaper Habit 5 and 6 come with a Rockshox Recon instead of the Lefty. Cannondale is generally known for its innovative and unusual bike design, but if you take away the Lefty fork on this, we actually think it’s a pretty conventional trail bike. Well, pretty much everything to be honest, not that it’s necessarily a bad thing. The geometry plants the Habit right in the middle of the market. 68° head angle, short chainstays and a low slung bottom bracket should create an agile ride with enough stability for light downhill use, great for singletrack shreds. Cannondale also seems to have a good grasp on the spec, which is usually our main complaint about its bikes. All the models have 760mm bars and a short stem, on the top models this is combined with a 1x groupset and 180mm discs to give you everything you should need right out of the box. We especially like the lightweight, 1x Spiderings on some of the top models. This is a wide/narrow chainring that looks absolutely gorgeous and will definitely make your bike stand out. Even the £1,300 Habit 6 has no discernable weak points in its spec and there’s certainly enough to keep you interested ride after ride. So how many models are there? Eight in total. The Habit Black Inc. and the Habit Carbon 1 are both full carbon frames; The Carbon 2, Carbon SE and Carbon 3 have alloy swingarms with carbon main triangles and the Habit 4, 5 and 6 are full alloy versions. Prices range from an eye-watering £6,999 down to £1,300 so there is plenty of choice if you fancy forming a new habit. Actually there is, they just gave it a different name. 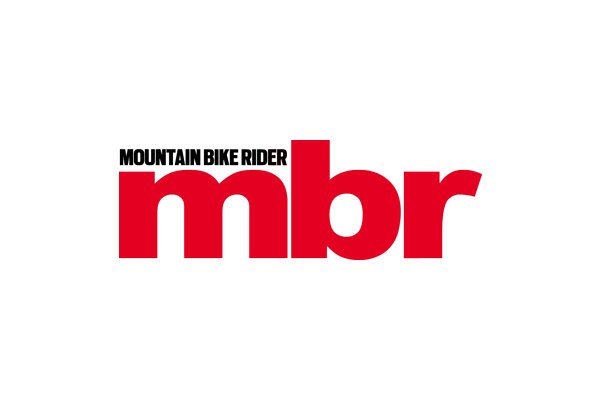 Also keeping it contemporary is a Plus version called the Bad Habit. There are only two models in this range so it’s possible that Cannondale isn’t expecting the Plus fad to be as popular as other brands are. 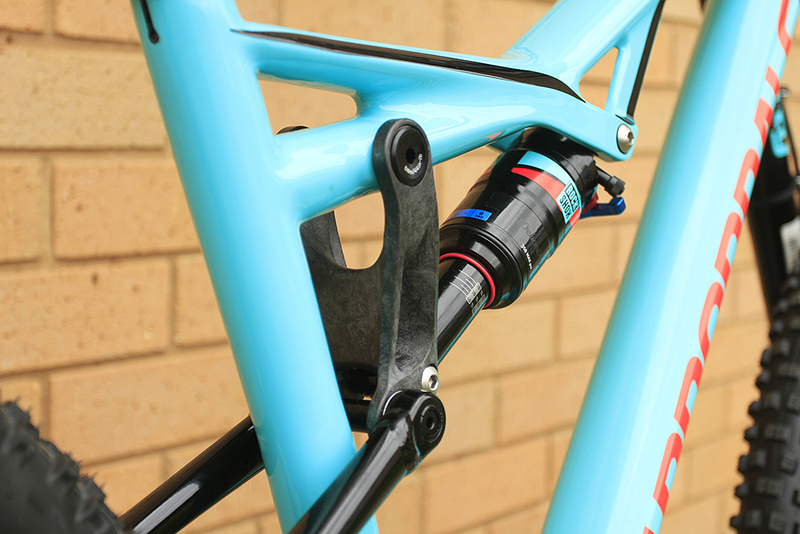 The frames are specific to 27.5+ wheels but they feature the same suspension system and spec as the standard Habit, although they are unusually missing a dropper post. The Bad Habit 1 comes with a Lefty will cost £2,499 and the Bad Habit 2 will cost £1,999. Any other news from Cannondale? One for the old-timers with memories still intact, the original Beast of the East is back. Originally an East-Coast hardtail with trials-inspired geometry, it had a sky high bottom bracket, and a controversial 24in rear wheel paired up with the 26in at the front, that was intended to be a help on the technical, woodsy trails of Vermont. 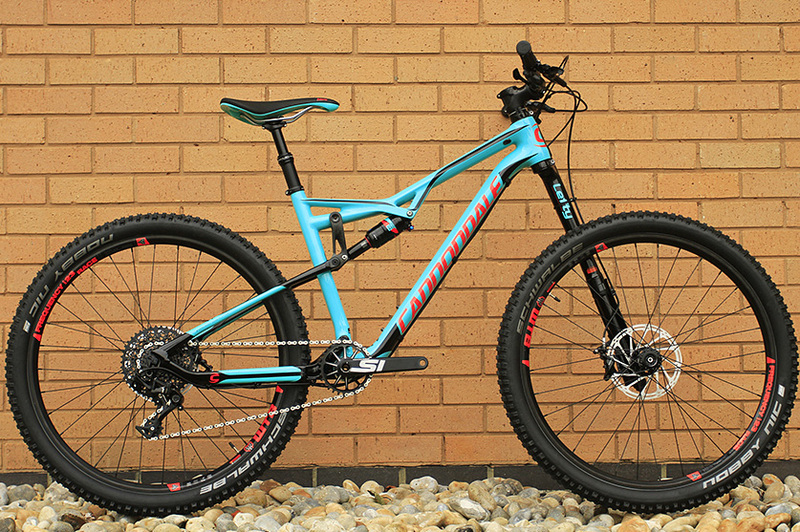 Now reborn as a plus-sized hardtail, with trail geometry, a 120mm travel fork and 3 bikes in the range. 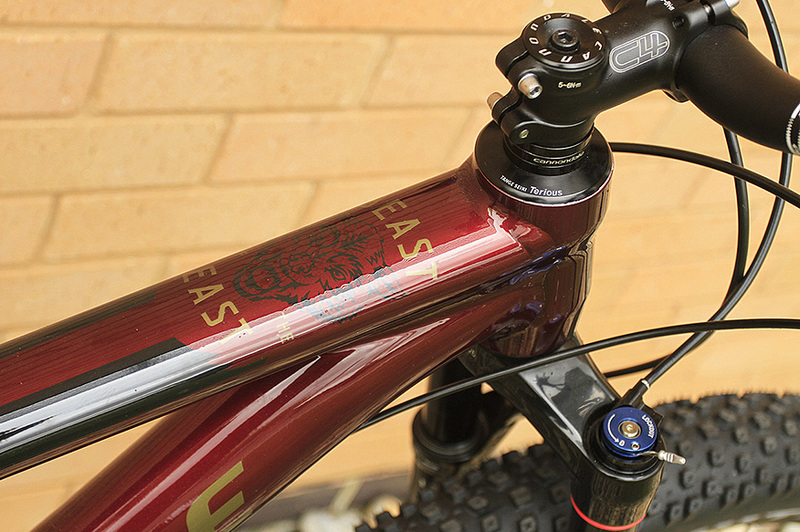 At the top of the tree is the Beast of the East 1 with dropper post and Lefty fork. The Lefty equipped Beast of the East 1 will set you back £2,099, and this is the next model down, with Reba RL fork, costing £1,599.99. The SmartFormed alloy frame includes asymmetric stays that offset the drivetrain 6mm to the right, gaining tyre clearance with 3in rubber. Cannondale also has a budget build that would be aimed at beginner or improver riders. This comes with a Suntour Radion fork and costs £1,099.